Harry is a magnificent Turkish Van cross. He came into the branch when his owners could no longer look after him, he was much loved and has been well looked after. 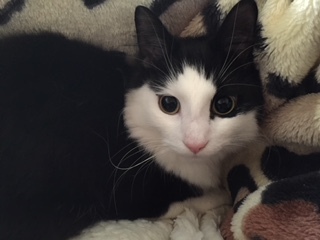 Harry loves a cuddle and doesn’t mind being groomed, he can get startled with loud noises but is generally very friendly. Previously Harry was an indoor cat but we believe he needs to be given the choice to go outside and explore. Who could resist this handsome face? ?